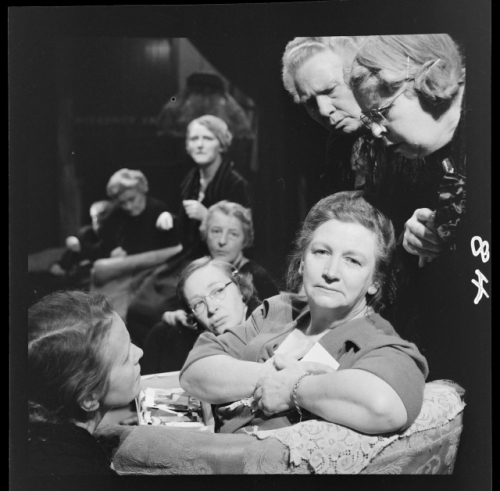 The Theatre and Dance Platform is a digital archives project hosted by the Digital Collections repository at the University of Melbourne which aims to diversify and enhance the University’s contribution to AusStage, an online database that records information about live performances in Australia. The platform, managed through the Digital Studio and created with LIEF 5 support, hosts a range of digitised material related to the performing arts, including photographs, scenic and costume designs, video recordings, posters and textual material such as programmes, reviews and correspondence. Using an accessible search interface, the project’s key research focus is the cultural heritage and legacy of national and internationally significant dance and theatre collections, such as those of the Melbourne Theatre Company, Lucy Guerin Inc and La Mama Theatre. Digitised visual and textual material and its information architecture is linked to Austage, and is compliant with national and international metadata standards. With LIEF 6 support, we have continued to add material related to the venues of the theatre and dance collections listed above as well as the Union Theatre complex. These venues, publically funded through the grants system, are key examples of the development of major production venues across the City of Melbourne over a fifty year period. Using this additional material, and in partnership with Digital Heritage Australia, we have created a series of interactive tour experiences combining photosphere images that document venue interiors and exteriors with digital objects from the Theatre and Dance Platform. These objects include posters, programs, archival audio-visual material and other ephemera, which, along with commentaries and specially commissioned interviews, provide enhanced historical and research context. Other projects undertaken by the Theatre and Dance Platform include the preservation of websites that document performing arts companies and artists of national significance. We have preserved the Pram Factory website developed by Suzanne Ingleton with the support of the Myer Foundation and Australia Council and the original Lucy Guerin Inc website, which was replaced by the company in early 2019.